← Yelling… A sign of Affection? Setting limits… finding the right balance. When do you start to let go? When do you start to allow your child some freedom? Parenting can be a tough job. Some days it seems like I don’t have any of the answers. So often I find myself questioning my judgement on so many things. My daughter, Caroline, is getting older and there are times when I just don’t know what to do. 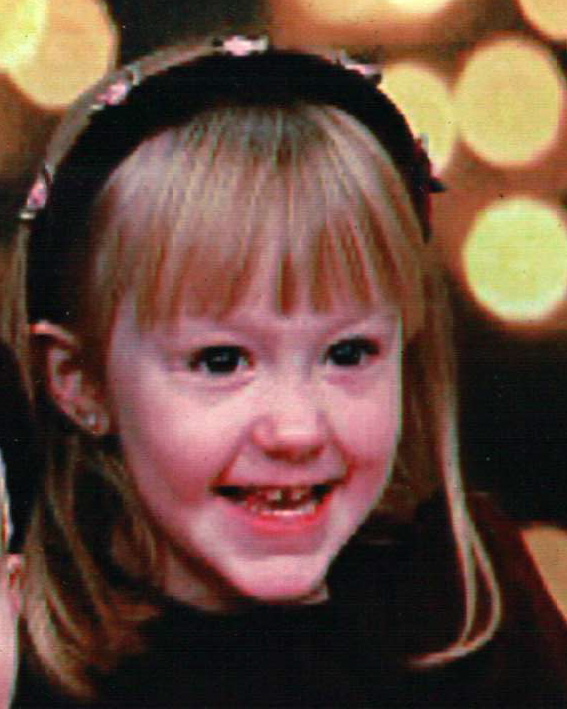 When she was a toddler her problems were simple. I knew what to do then, it was easy. If she had trouble falling asleep I could read her a story or lay with her until she fell asleep. If she had a boo boo I could kiss it and make it all better. I was a mom who knew it all! This was my girl back when I knew all the answers! The older she gets the harder it gets. This should come as no surprise to me since my mother, also a mother of three daughters, has frequently proclaimed the older my sisters and I got the harder parenting became. Simply because the older you are the more serious the problems. Tonight is a dance at the local Boys & Girls Club. The dance is from 9-12 and is for grades 6-8. Pretty late for my sixth grader. She was so excited at the prospect of the dance. The minute she heard out about it she immediately texted me and wanted to know if she would be allowed to go, and most importantly would I let her stay until midnight. I have learned the answer to everything has to be the patented “we’ll see.” I use to agree to things too quickly, rookie mistake, I now know better. Now what to do… Should I let her go… How late should she stay? She is only in sixth grade and will be the youngest there. Is that a good idea? It is so hard to find the right balance. On one hand I want her to grow up and be happy. She so badly wanted to go and was really looking forward to it. Yet, I want her to know there are boundaries. Just because she wants to do something doesn’t mean that she can. There is such a fine line parents must walk. Too much and we smother them and too little and we may lose them. So, I turned to my friends which only resulted in more confusion. The responses were all over the map. Some mothers, whose conviction I admire, insisted it was too late for thier 11 year olds. Other mothers were fine with their daughters staying till 12. Still others were walking the road of compromise allowing their daughters to go but mandating strict 11:00 curfews. Whose to say who is right? In my opinion everyone is. The decisions we make about our children have to be ones that we make based on our own child and what is good for them. Our children aren’t the same so how could one decision be right for all of them. I think it is good for my daughter to see that her friends are not all the same and that families are different. What really matters to me is that she respect the decisions my husband and I make and that she abide by them. At the end of the day we are letting her go. We have spent the afternoon showering, doing her nails, and blow drying her hair. We will be leaving soon and I hope it is as wonderful as she thinks it will be. And as for me, I can just hope and pray that I made the right decision. The reality is it’s her decisions and the choices she makes that will determine who she becomes. Hopefully we will have taught her well. 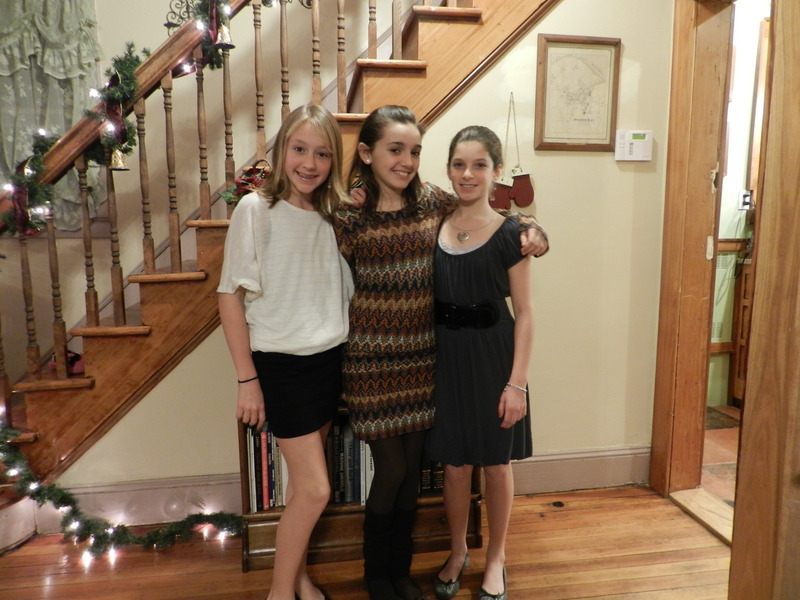 Off to the dance with her friends…. So grown up! And yes, my Christmas decorations are still up! This entry was posted in Motherhood, Pre-teen and tagged daughters, first dance, growing up, parenthood, parenting, Pre-teen, setting limits, sixth grade, sixth grader, three daughters, tough job. Bookmark the permalink. 3 Responses to Setting limits… finding the right balance. Laughing & crying again 🙂 She looks so beautiful (and grown up)! Hope she had a wonderful time! Y0ur blog is so engaging After my first dance at OLv i returned in tears because I had spent the night as a wallflower Grandpa reassured me by insisting that my drop waist dress with its horsehair crinoline was so beautiful that all the boys were afraid they would crush it if they asked me to dance And I believed him!